Dine Out Charlotte « Bon appétit Charlotte's way! One great thing about eating local is the freshness of the product. At Poverty Creek Farm we raise beef, pork and poultry along with a variety of vegetables and sale to the public and to restaurants. The freshness of the product is one of our keys to success. We pick vegetables before every farmers market, every restaurant order, so basically every day! What we don’t sell we feed to the hogs and chickens. We don’t sell anything we wouldn’t use to cook for our own children. Freshness is important, not only for taste, but for nutritional value. As vegetables age they deteriorate and lose a lot of their nutrients. That freshness and that goodness is what keeps our customers coming back for more. Take our Bratwurst sausage for example, one of my biggest sellers… once you try it you’ll never want store bought cured bratwurst again! An all-natural casing provides for 4 links in a pound pack of a lean, high quality all pork products. A tried and true family recipe provides the perfect flavors to complement your backyard cookout, or your favorite vegetables cooked on a skillet. At Poverty Creek, our animals are raised with no hormones, no steroids and no antibiotics. We use vinegar, diatomaceous earth (food grade) and a mindful eye that allows us to raise animals with traditional farming practices. We don’t have to use conventional methods to keep our animals healthy, or get our vegetables to grow. We use natural practices, because we figure there is no need to manipulate something that works so well. Yes it may take a little longer for my peas to reach maturity than those big corporate farms, but sometimes things that are hurried along are not always the best. My vegetables and meat products may not contain fertilizers, steroids, genetic modifications, and artificial anything, but they do contain the love of a family who has dedicated their lives to the land, and the products they produce. We all do it… Time to give yourself the night off and share a meal together! We all do it. We get on the phone with a friend, talk for about 15 minutes, then say, “We need to get together soon.” Two weeks later, we have the same conversation, ending with the same, “We need to get together soon.” The pace of life, especially for those with children at home, can be hectic and chaotic. Time spent with friends has to be put on the back burner in order to keep everyone on schedule and keeping up with their commitments. Sometimes, during this particularly busy time in our lives, our friendships can drift apart because so many other things take priority. Why not call up your friends and share a meal together? Dine Out Charlotte is a great way to enjoy a meal at a great restaurant while saving some money. Give yourself a night off of cooking and have a great get-together at one of Charlotte’s many great restaurants participating in Dine Out Charlotte. Spring time is the perfect time to reconnect with your friends and reestablish the bonds of friendship. After all, everyone has to eat! Why not use that time to try out a new restaurant while spending some overdue time with your friends? Because the restaurants participating in Dine Out Charlotte have prix fixe menus, you know that you can enjoy a meal while keeping with even a tight budget. You don’t have to worry that you will spend more than you’re willing to, or that your kids will order something outrageously expensive. You can relax, enjoy your meal, and know that you are getting an amazing deal. Spring is the perfect time to get out of your Winter rut and try something new. Dine Out Charlotte provides an opportunity for you to eat some excellent food, catch up with friends, and have a night off of kitchen duty. Special thanks to Caitlin Sellers for featuring Dine Out Charlotte Spring Restaurant Week on her blog this week. FINALLY!!!! The weather is beautiful. One of my favorite things to do is look at all of the blooming flowers and especially the cherry blossom trees lining the streets. Today I enjoyed my lunch outside in Dilworth off of East Blvd…. talk about vitamin D in 70 degree weather! 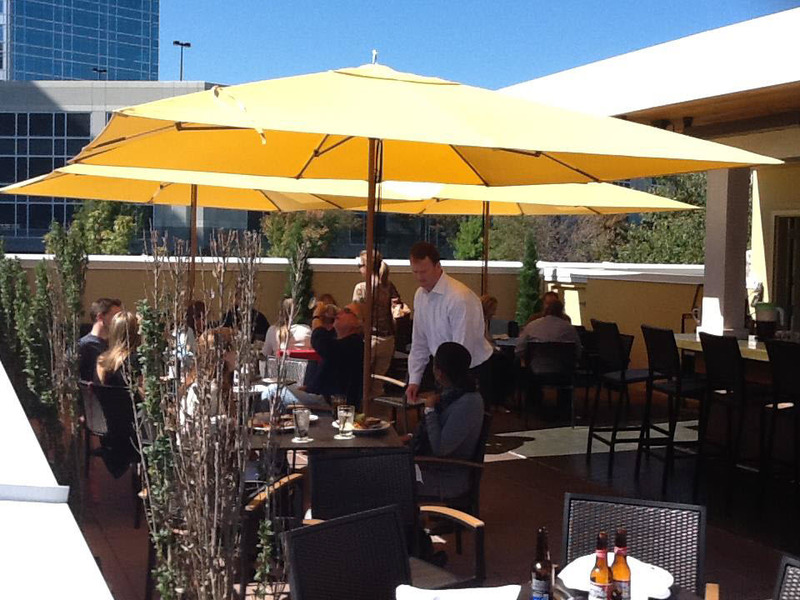 Al fresco dining reminded me of how soon Dine Out Charlotte’s first ever Spring Restaurant Week is (April 12-21). The type of restaurants participating are a wide variety and a price range for 3+ courses is $22-$32….affordable for anyone! The $2 proceeds go to Charlotte’s Second Harvest Food Bank of Metrolina’s Child Hunger Programs. One of the Child Hunger Programs to benefit includes the Johnson & Wales Kids Café Prepared Meals program. I am so excited to see locals thriving in the community. I am so proud to see my hometown city growing rapidly. 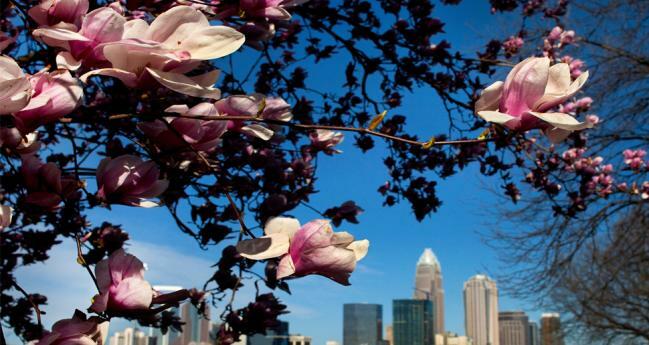 The Queen City is the best place to be in the spring! Get excited for the newest type of restaurant week Charlotte has to offer. To all you foodies out there, appreciate the beauty of dining local! If you could travel anywhere for a week, where would you go? What if money were no object? Where would your perfect Spring Break vacation be? The French Riviera? Cancún? Greece? Does your perfect getaway include adventure, leisure, or a mixture of both? For me, my personal travel destination would be Italy. I would love to go and spend a week strolling (or boating) through the streets. I would love to experience the Italian culture in all of its richness and diversity. With three kids, a mortgage, and college to save for, though, a trip to Italy is not in my immediate future. What I can do is go on a culinary Spring Break. Thanks to Dine Out Charlotte, I will be doing just that. I think I’ll start my culinary journey at Osso. Located at NC Music Factory, Osso is a great starting place for my food vacation. I will start by choosing to dine al fresco. Just choosing to dine outside seems to lend a more European, laid back atmosphere to the dining experience. They offer DJ music, too, so I will be able to enrapture all five senses into my dining destination. I’ll also visit Rudy’s. Named after the owner, Rudy Amadio, Rudy’s offers neighborhood Italian fare. I imagine small, neighborhood restaurants like Rudy’s all over Italy, and I know that I will capture some of that down-home Italian cooking at Rudy’s. It has a more casual feel to it, so taking the family is a great idea. I will round out my foodcation by visiting Fiamma. This is what I imagine Italy’s great Trattoriasto to be like: Homey décor, sumptuous food, and an incredible wine list. Nestled in posh Dilworth, Fiamma promises to delight the senses and deliver fine Italian dining. If you’ve ever wondered what an Italian vegetarian would eat, go to Fiamma! They have an incredible selection of vegetarian dishes. I was delighted to find out that they also have gluten-free options, something I have to tell my friends about! Since flying off to Italy is not a budget-friendly option for me, I am going to take advantage of Dine Out Charlotte week (April 12-21) and enjoy the best of Italy right here in Charlotte. If I see you there, I’ll raise my glass to another savvy restaurant connoisseur. Here’s a new twist on the traditional Charlotte Restaurant Week: Dine Out Charlotte. The “week” runs for ten days (April 12th – 21st) just like the traditional CRW, but this one has a charitable kick to it: $2 of each meal is donated to the Second Harvest Food Bank’s Feed Hungry Kids program. Some highlights: Restaurant Week favorite Blue features a Bison Osso Buco and their sublime Sticky Toffee Pudding. 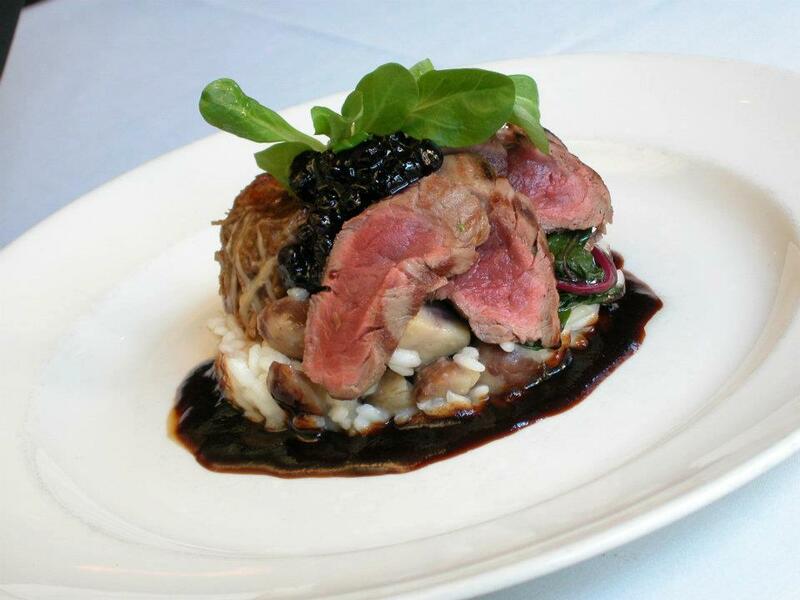 Fiamma has almost their entire regular menu on their event menu, and Maestro’s Bar and Bistro in Pineville is featuring their Apricot & Brandy Lacquered Duck Breast and my personal favorite, their Filet Mignon Medallions with Cabernet Demiglace. For the budget conscious, both Cantina 1511 locations are offering their 3 course menus for $22 AND the second course has pairings that include a beer or glass of wine. The Dine Out Charlotte event is focusing on local independent restaurants and chefs featuring menus with fresh, local spring produce. Second Harvest Food Bank’s Feed Hungry Kids program will be able to buy 8lbs of food with each $2 dinner donation. Great food, great cause, what else could you ask for? Come on Charlotte, Let’s Eat! Locally owned restaurants pitch in to help the hungry through the new Dine Out Charlotte, a spring kind of restaurant week that’s offering dinner at more than 30 area places. April 12-21 (yes, it’s a 10-day “week”), you can get three courses for $22 or $32 (depending on the restaurant’s price ranges), and $2 of that is donated directly to the Second Harvest Food Bank’s Feed Hungry Kids program, says founder Jeff Ahmadi. The website lets you book tables, and restaurants are still being added to the list, Ahmadi says. Among those on the current list: Blackthorne, Blue, Cafe Monte, Campania, Cantina 1511 (whose ownership includes area folks), City Tavern, Dressler’s, Fiamma, the Harper’s/Mimosa Grill/Upstream siblings, Hot Stone Grill, Maestro’s Bar and Bistro, Miro, Miyagi’s, Nick’s Steak, Old Stone, Osso, Pisces, Prickly Pear, Red Rocks, Rudy’s, Santé, Senor Tequila, Wooden Vine and Zen Fusion. Why don’t adults get a Spring Break??? After a long winter, the words “Spring Break” sound like an angel’s chorus! The kids get a full week without getting up before the sun, whining through a hasty breakfast, and getting to the bus stop on time. There’s no homework, and most after-school activities (ballet in my household) are off for the week. Some families decide that Spring Break is the perfect opportunity to take a vacation, and set off for an adventurous week. The downside to this for parents is all the things mentioned above! The kids have a full week with nothing to do. Within an hour of waking on Monday morning, parents hear “I’m bored.” Scrambling, parents must find things to do to fill the hours. It wouldn’t be right to allow the kids a week full of television zombie existence, right? If you do plan a trip, there’s the planning, the packing, the travel, the frantic “do everything you can while you’re there”, and then the traveling home, unpacking, and the week’s worth of laundry. This is not Spring Break for the parents! This is a double load of work!! I was on Facebook today, and a friend posted “Why don’t adults get a Spring Break?? ?” Well, friend, I have the perfect response to your question. Dine Out Charlotte is Spring Break for us, the parents who desperately need a break after having the kids home for a full week! Hang on, adults! Your Spring Break is coming!! Miró Spanish Grille is one of my favorites. 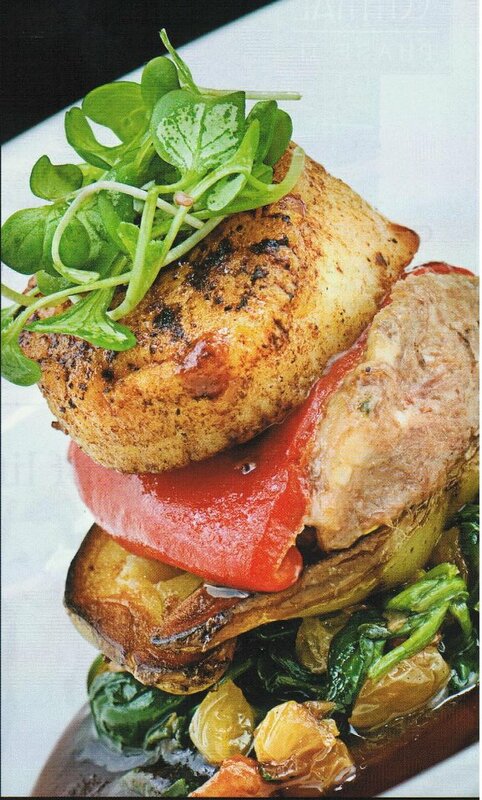 Tucked into upscale Stonecrest shopping center, Miró offers true Mediterranean cuisine that satisfies even the most discriminating palate. Enjoy a glass of Sangria while you dine on one of their delicious appetizers (I’d try their Almejas- sautéed clams in garlic, olive oil, and white wine). Choosing one of their entrees might present a difficult decision, but the truth is that you really can’t go wrong. If you’d like to sample a more traditional Mexican cuisine, I’d suggest Cantina 1511. With one location in Dilworth and one in Ballantyne, there’s a location close to you. Sip on a gigantic Margarita and look over their menu. Whether you want authentic Mexican or you prefer Tex-Mex, Cantina 1511 has the entrée for you. My personal favorite is the steak quesadilla. As a quesadilla connoisseur, I can tell you that their steak quesadilla is the best I’ve ever tasted. Sumptuous and tender, the flavor combination is out of this world.